Slim-fitting top in stretch cotton for maximum comfort. 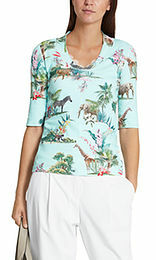 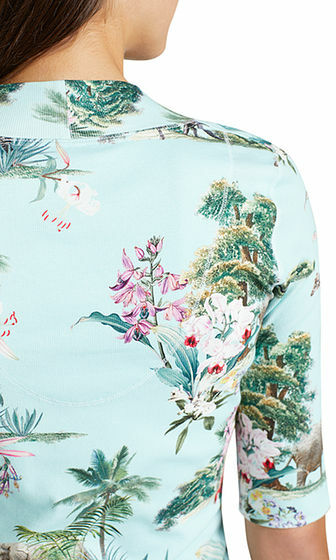 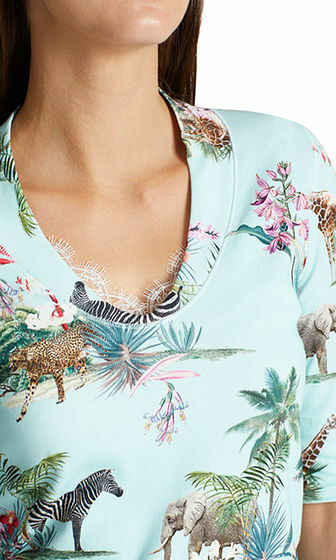 The rib-design top is strikingly printed with African animals and plants, and has half-length sleeves that can be turned back. 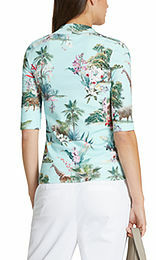 The slightly rounded V-neck completes the design. The model is 179cm tall and is wearing size N3/UK 12.